Walks come in all shapes and sizes in St Edmundsbury - circular walks, pub walks, nature walks, guided walks, rambles, hikes and activity walks. The Tourist Information Centre keeps a wide range of leaflets outlining our more popular walks, and also stocks books with further suggestions. Our free Countryside Events leaflet is published twice a year and is also available from the TIC. It features a range of guided walks in the Borough's parks. Forest Lodge, West Stow: way-marked circular walks in the King's Forest. Icknield Way Path: part of 106-mile-long distance path and horse trail linking the Ridgeway in Buckinghamshire with Knettishall. Lark Valley Path: 13 mile path from Mildenhall to Bury St Edmunds, including riverside, woodland, heath and parkland. Haverhill Country Walk: a 6.5 mile circular walk through Sturmer and Kedington. Clare Castle Country Park: riverside walk and nature trail. 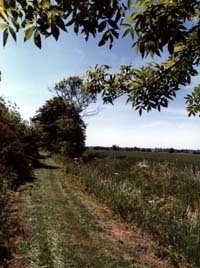 New for 1997 is a way-marked circular walk from the Abbey Gardens through No Man's Meadows local nature reserve on the edge of Bury St Edmunds. East Anglia really is England's Cycling Country, thanks to its geographical suitability and beautiful scenery. St Edmundsbury offers particular attractions, with a combination of rural roads, open countryside and parkland to tempt any leisure cyclist. A book of cycle routes in and around Bury St Edmunds is available from the TIC and from bookshops in Suffolk. Combine your journey with a pub stop, an overnight stay in an old inn, or some sightseeing on foot in Bury St Edmunds. The TIC are always happy to offer advice on where to stay, local bike repair services and how to make the most of your time, however quickly or slowly you ride! The Suffolk Cycle Route crosses the Borough through Hawkedon to Wickhambrook, then from Gazeley to Brandon and from Euston to Thelnetham. There is a new Family Cycle Route at the National Trust's Ickworth Park in Horringer, Bury St Edmunds. Bury St Edmunds is also home to keen sports cyclists, and has hosted the National Criterium Town Centre Cycling Championships for three years running. St Edmundsbury has lovely riding country, and plenty of schools for lessons. Bardwell Manor Equestrian Centre, Ixworth Road, Bardwell, Bury St Edmunds. Lessons, hacks, BHS riding tests, riding for the disabled, indoor arena. Culford Riding and Livery Stables, Hengrave Road, Culford, Bury St Edmunds. Indoor and outdoor arenas, pony days and fun days, hacks. Hardwick Stables, Horsecroft Road, Bury St Edmunds. Lessons, hacks, ABRS approved, C&G NVQ centre. Ixworth Road, Bardwell, Bury St Edmunds. There are nearly 600 acres of parkland and open spaces to enjoy in St Edmundsbury, including West Stow Country Park, Nowton Park, Haverhill East Town Park and West Town Park, the Abbey Gardens, Clare Castle Country Park and Knettishall Heath. 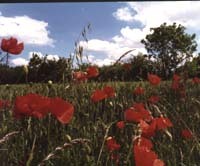 The Borough also includes the Stour, Lark and Linnet valleys, all areas of outstanding natural beauty. The free Countryside Activities leaflet available from the TIC shows the locations of the Borough's parks and tells you what to look out for.